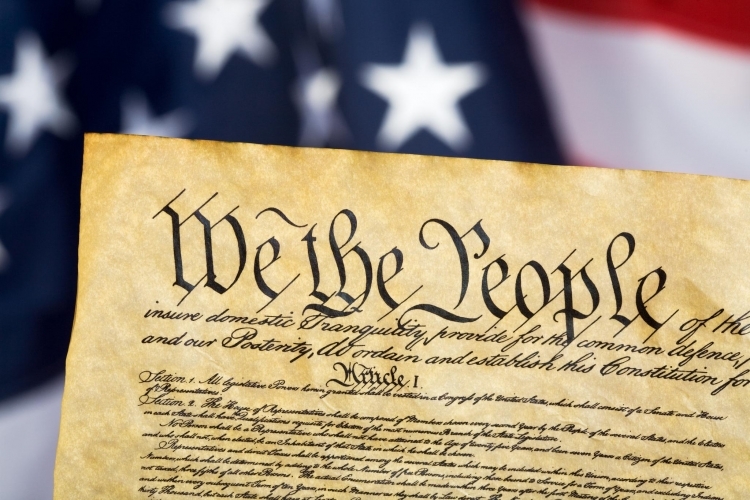 The 9th and 10th Amendment of the United States Constitution clearly limits the power of the federal government and protects the rights of the states to govern themselves. The more power the federal government has the less freedom we have. In July, the US Court of Appeals for the Fourth Circuit based in Virginia overturned North Carolina’s Voter ID Law. The law required a photo identification to vote, reduced early voting days and ended same day registration. All three judges on this panel were appointed by Democratic presidents. Thirty-four other states have voter ID laws in place which have been upheld by the Supreme Court. The court also added back a week of early voting even though a dozen states still do not have any type of early voting. The court also added back same day registration while the majority of states do not allow same day registration. Does this ruling mean that all of these states are violating the Constitution? The courts disregard of legal precedent, ignoring the 400 pages of facts from the district court, and ignoring the positive outcome for minority turnout after the law was implemented shows the court’s intent was not one of an independent arbiter but one of recklessly pushing a partisan agenda. WHEREAS, the Federalist #15 states, “Why has government been instituted at all? Because the passions of men will not conform to the dictates of reason and justice, without constraint.” Therefore, the United States Constitution contains restraints with checks and balances for all three branches of Federal government (legislative, Article I; executive, Article II; judicial, Article III). WHEREAS, the 10th Amendment to Constitution states, “The powers not delegated to the United States by the Constitution, nor prohibited by it to the States, are reserved to the States respectively, or to the people.” The federal government can never suppress the superiority of the states or the individual rights of the states. WHEREAS, North Carolina has sovereignty and the constitutional right to develop and implement their election procedures. Voter ID is a common-sense law to protect the integrity of the election process. The law gives confidence to voters in North Carolina that their votes matter. The obvious overreach by judicial activists in this case and others undermines the freedoms of North Carolina’s citizens. RESOLVED, we the undersigned insist that the next President appoints judges at all federal levels who are proven that they will apply original intent of the Constitution to every ruling and to pledge to not make legislation from the bench. We also urge the Senate to not confirm any judges that do not meet this standard. RESOLVED, we urge the US House of Representatives to consider impeachment under Article II, Section 4 for judges that unconstitutionally abuse their power through legislating from the bench or pushing political agendas. The Judicial Overreach Concerning North Carolina's Voter Id Law petition to US Representatives and Senators was written by Claire Ledford and is in the category Government at GoPetition.